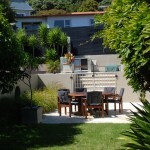 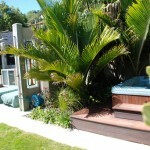 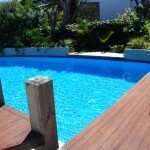 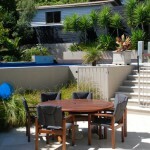 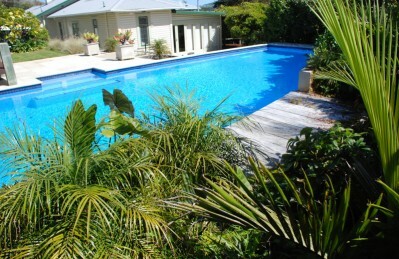 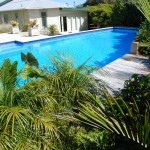 This pool makes use of an old tennis court behind the house which was raised about a metre above house floor level. 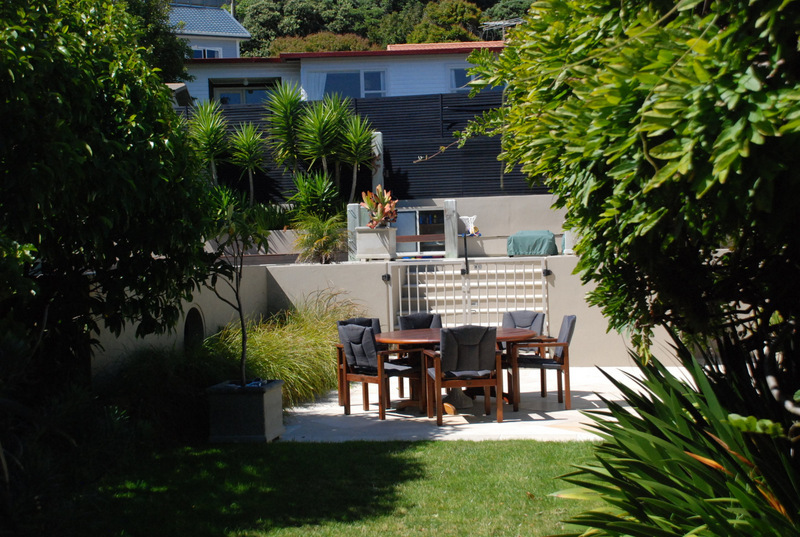 Being situated on the east side of the house it made sense to keep the area raised to allow the afternoon summer sun to come over the house. 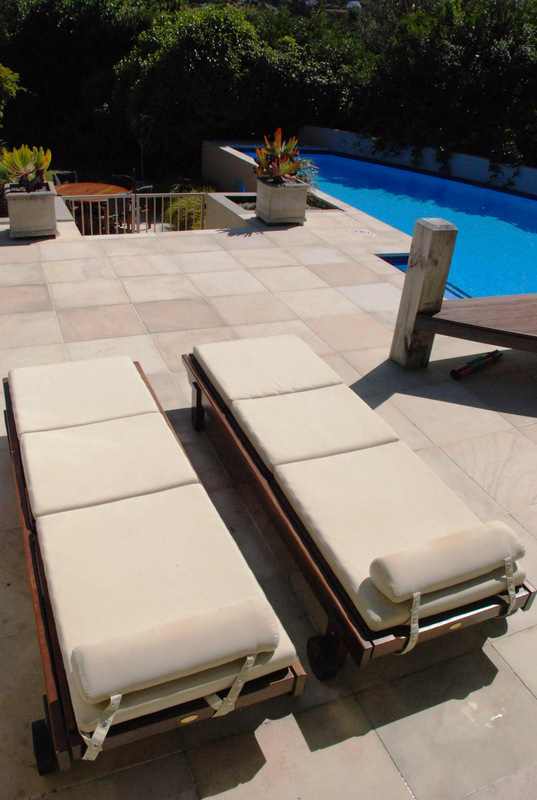 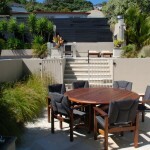 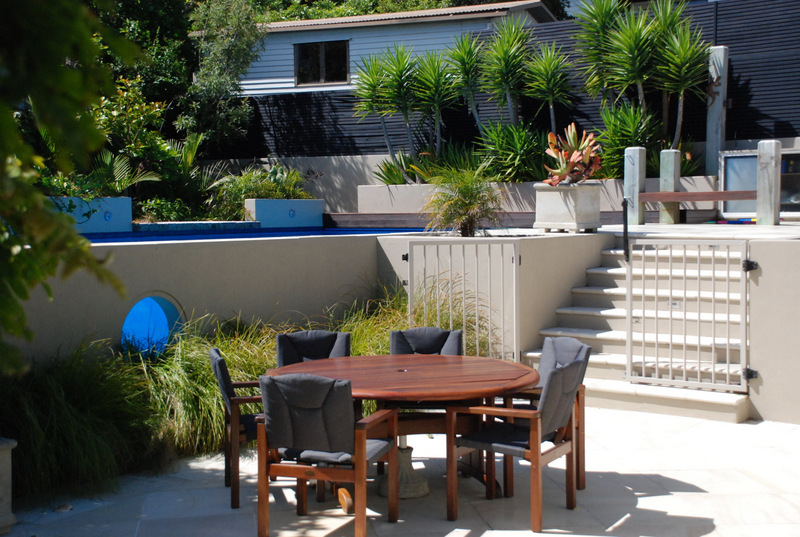 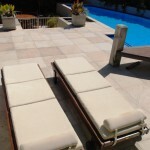 The clients wanted to feel like they were on holiday with their new pool environment so a semi-resort atmosphere was required – notwithstanding the limitations set by our Wellington climate! 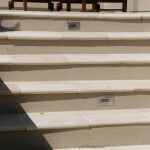 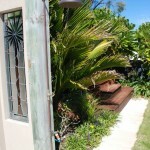 The planting, materials and the sheltered, sun-trap orientation have all helped to create this. 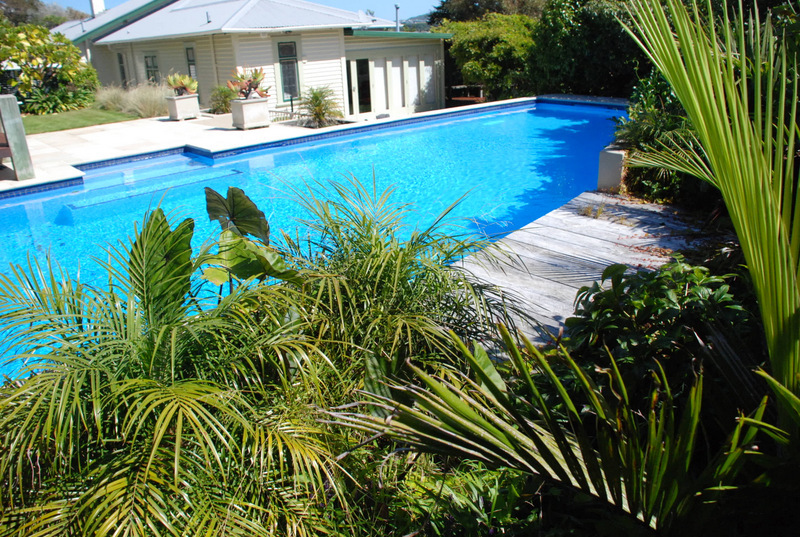 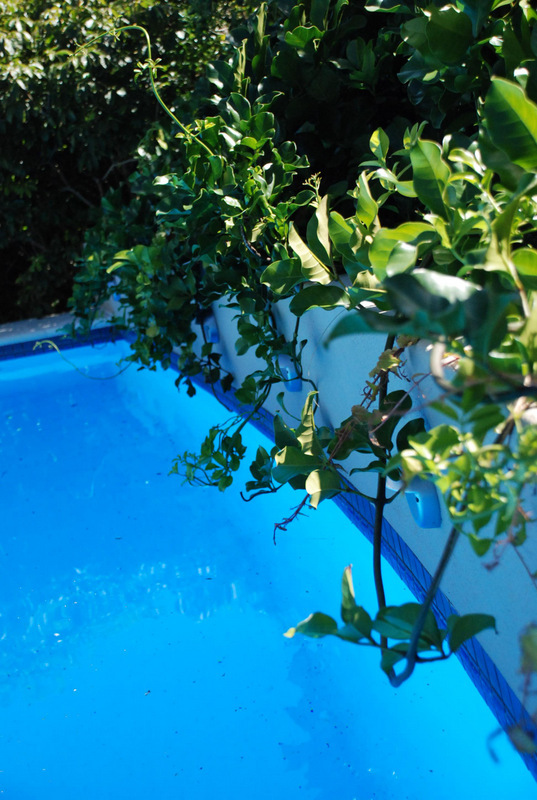 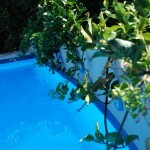 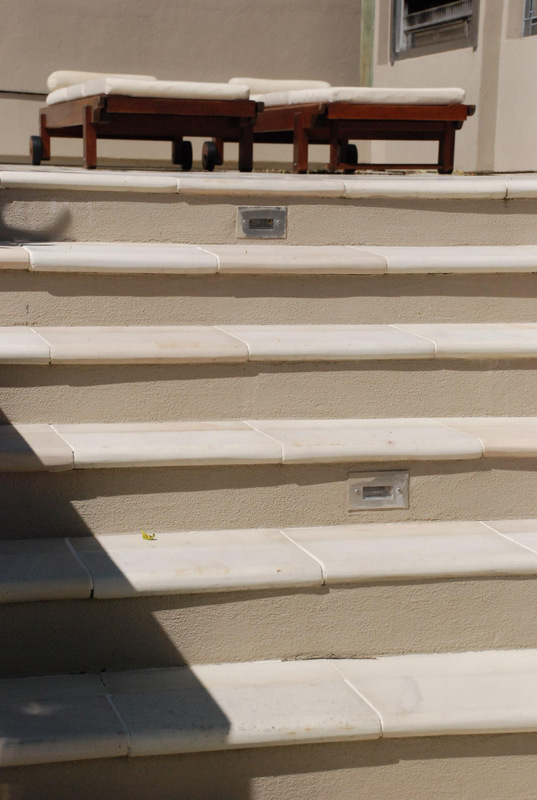 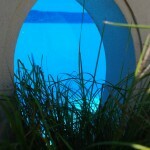 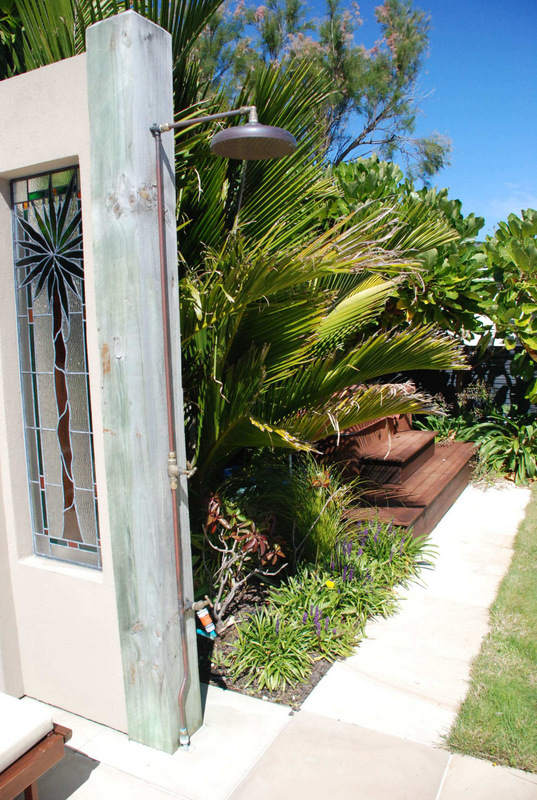 The levels were adjusted to maintain a 1.2m wall between the house and the pool – this became the pool “fence”. 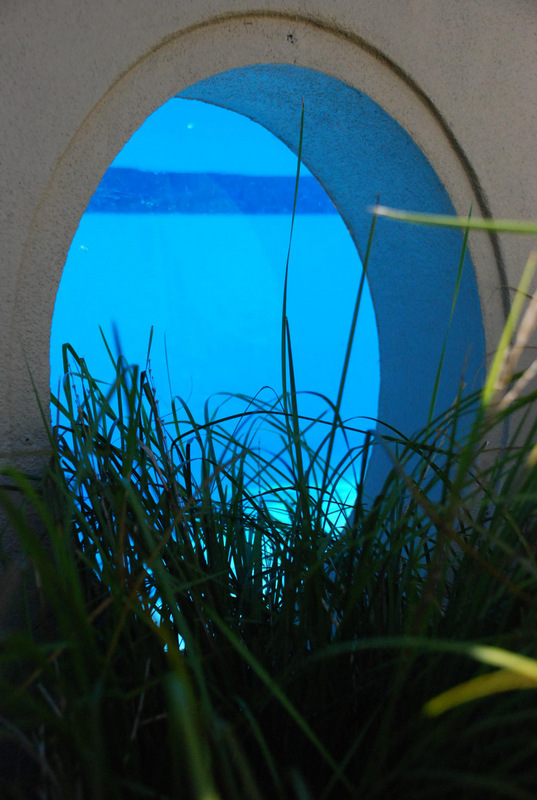 In order to highlight the existence of the pool from the courtyard below, a large porthole window has been created in the pool wall, giving those in the courtyard an under-water view of the activity above and providing a fun feature for the children. 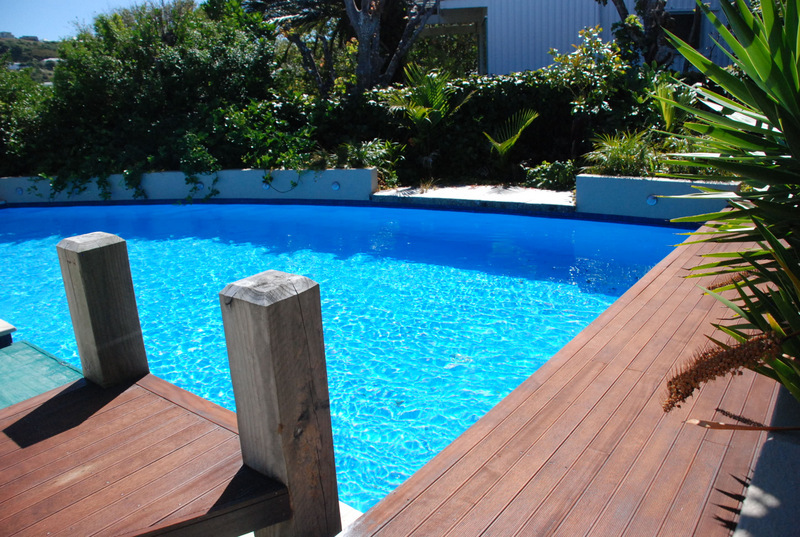 Another feature which adds to the interest for the family is the rustic sunbathing deck set in planting which is only accessible from the water. 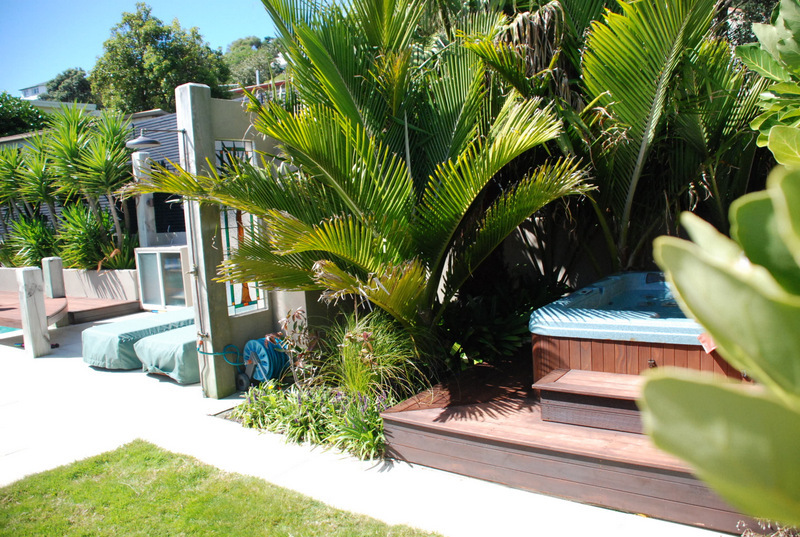 A spa pool sits within a small deck amongst sub-tropical planting just around the corner from the main area, creating a secluded, semi-private space. 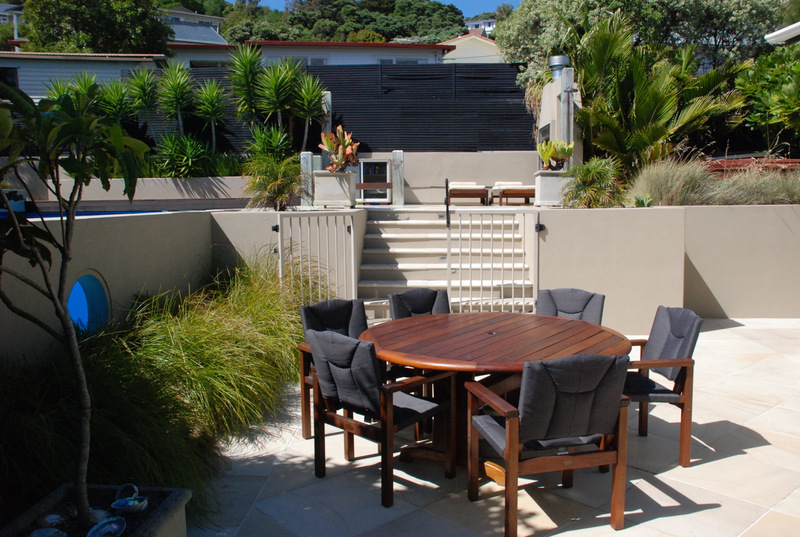 A roofed poolhouse never eventuated but the features within it -a BBQ, fireplace, storage cupboards and an outdoor shower etc – were built and these provide useful facilities which compensates for the distance from the house.